CODRINGTON, Barbuda (Jan. 25, 2012) - Prince Albert II of Monaco, son of Prince Rainier and Princess Grace (aka, legendary American actress Grace Kelly), and his new wife, Charlene Wittstock, visited the exclusive nine-suite Lighthouse Bay Resort (www.LightHouseBayResort.com) in Barbuda on Jan. 5, 2012. The royal couple spent the afternoon relaxing on the beach and enjoying personalized meals prepared by Executive Chef Lennox Cadogan, who also had the honor of cooking for the late Princess Diana when she would visit Barbuda. Caption: Prince Albert II of Monaco and his wife, Charlene Wittstock, take time out of relaxing on the resort's pristine, private beach to meet with the Lighthouse Bay Resort staff and take some pictures. "Prince Albert and Charlene were an absolute pleasure to have as our guests at Lighthouse Bay," said Terrence Linton, general manager of Lighthouse Bay. "They were gracious and friendly and took the time to greet our entire staff. 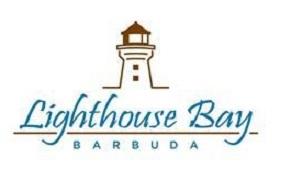 They anticipate coming to Lighthouse Bay in the near future for a truly relaxing vacation instead of just for the afternoon." Uprising Boxing and National Boxing gyms in conjunction with Sugar Ridge Hotel will host the "No Retreat, No Surrender" four-nation boxing championship at Sugar Ridge on Saturday, June 18, starting at 7 pm. The event had originally been postponed from May 28. Chief organiser Anthony Severin told OBSERVER Sports that, "it will be a boxing show with a difference since all the boxers will be looking to give a good account of themselves." There will be 12 or more bouts in classes ranging from flyweight to heavyweight. The main ticket on the card that night will be a heavyweight clash between Dexter Simmons and Gavin Grant of St Lucia. Wynton Phillip will fight in the flyweight division; Patronne Collins in the bantamweight; while flyweight Alston Ryan; middleweight Karl Warner; lightweight Lindin Arthur, and welterweight pugilists Sonny Benjamin and Zimba Aska will display their skills. Yakita Aska, Tuvia Lewis, Murani Mohan, and Jaheel Cannonier will also fight in the light heavyweight class. The four nations taking part in the event are Guadeloupe, Dominica, St Lucia and hosts Antigua & Barbuda. There will also be an exhibition bout between two local female boxers. Admission fee to this exciting event will be $35 for knockout tickets, $80 for ringside, $100 for club level and $150 for upper level VIP all-inclusive. The local boxers will use this opportunity to prepare themselves for the Invitational Creole Boxing Festival in Martinique in early July and for the Pan Am Games qualifiers in Panama in late July. There will be an after party at the conclusion on the event. Severin also told OBSERVER Sports that an international referee will be on island for the event and that a short seminar on referee judging by way of computer will be held for all local persons wishing to become a judge. The organiser is appealing for assistance from the business community. He expressed thanks to the Ministry of Sports; Sign Pro; Vibes FM; ZDK; ABS Radio and TV; Sun FM; Ideal Autos and Sugar Ridge Hotel. CODRINGTON, Barbuda (May 9, 2011) - The upscale and exclusive Lighthouse Bay Resort (www.LightHouseBayResort.com) on Barbuda gives new meaning to the term "destination wedding" with a celebrity-style celebration truly unique from beginning to end. 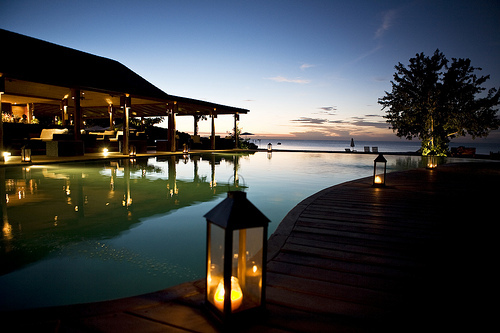 From a private helicopter ride from Antigua to Barbuda and the intimacy of being on a private island to couples exchanging vows beachside with 12 of their closest friends and family, the resort's "Signature Champagne Cocktail Yes I do" package offers an unforgettable real-life fairytale experience. "We offer the caliber of a celebrity wedding but without the celebrity price tag," said Terrence Linton, general manager of Lighthouse Bay. "Brides, grooms and all the loved ones who celebrate with them at our private paradise take home monumental memories of beachside elegance and pristine perfection." Recognizing the impact resorts have on the environment, Hermitage Bay, Antigua's luxury all-inclusive resort, has played their part in the green movement and taken steps to enhance and develop eco-friendly initiatives on behalf of their guests. Even prior to resort development, owner Andy Thesen saw the role his property had in contributing to an eco-friendly vision both locally and globally. Now couples traveling to Hermitage Bay can find their own personal nirvana with the resort's new Dorissima signature SIDDHARTHA rituals. Perfect for honeymooners celebrating their new love or for couples looking to keep the spark alive, these rituals use aphrodisiacs such Vanilla, Tonka and Grapefruit and are specially designed to stimulate the senses and relax the body. ANTIGUA (April 15, 2010) - Remaining true to its roots, Antigua's Hermitage Bay prides itself on providing guests with an authentic Caribbean dining experience-full of fragrant spices, exotic produce and seafood straight out of the ocean. Starting this month, Hermitage Bay's Executive Chef, and Jamaican native, Dezi Banham will offer culinary classes to demonstrate how Caribbean cooking techniques can be implemented back home for simple reminders of island living. Following in the footsteps of the Italian "Slow Food Movement," where emphasis is placed on farm to table practices, Chef Dezi combines the island's local resources with his signature Caribbean flare to create memorable dishes for guests to enjoy together. "When cooking for our guests, I strive to capture the essence of family dinners prepared by my mother and grandmother," says Chef Dezi. "It is all about love for food and each other. I try to instill in my staff to always view the guests we serve as family." Grand Pineapple Resorts are offering Spring specials for Spring and Summer travel. For a limited time, guests can save up to 60% off on stays of 3 nights or longer! This sale will continue through April 22nd, 2010. Offer valid in Antigua and Jamaica locations. Grand Pineapple Resorts offer affordable all-inclusive vacations for families and couples alike. At 60% off, these resorts start at $90 per person, per night. ST JOHN'S, Antigua, April 17, 2009 - Antigua and Barbuda is putting its Romantic Rhythms Music Festival on the backburner this year after a one-time hosting of the event. The worsening global economic crisis has been blamed for the decision but the Minister of State in the Ministry of Tourism, Civil Aviation and Culture, Eleston Adams, said the festival which featured local, regional and international performers will resume in 2010. The NY Times has a new feature out on Antigua and they mention a few of my favorite places on that island - Half Moon Bay, Siboney Beach Clubs, and the Coconut Grove restaurant - this article gets Antigua right. Antigua's cruise dock is right in the middle of St John's and can cater for up to four ships at a time. Passengers step ashore and straight into the refurbished Heritage Quay area with its modern shops and walkways. There is also a bandstand where musicians often play, plus public phones and lavatories. Shops range from jewellers and perfumeries to boutiques and beachwear outlets. Passengers are invariably greeted by a crowd of taxi drivers offering island tours as they walk through Heritage Quay. Some ships also moor up at the adjacent Redcliffe Quay, which is more atmospheric with its old Georgian buildings housing cafes and boutiques. This is from the introduction - there are also informative sections on things to do, and where to shop and eat. We just found a cool webcam from The Coast restaurant in Antigua of the cruise ship dock at St. John's Harbour and added it on the Caribbean Webcam page. ST. JOHN'S, Antigua, Sept. 3 -- Ismay's recently opened to great fanfare at Antigua's Galley Bay Resort & Spa -- an award-winning hideaway and a member of Elite Island Resorts' distinctive collection of Caribbean resorts. The restaurant was named for employee Ismay Mason in tribute to her 45 years of dedicated service to the resort. Antigua's Prime Minister Baldwin Spencer and Minister of Tourism Howard Lovell attended the opening. "We're extremely proud of Galley Bay Resort & Spa's new restaurant and glad we could name it in honor of our longest-standing employee who has demonstrated extraordinary service. Ismay's gives our guests an exciting third dining option rounding out the resort's newest enhancements -- a luxurious tropical spa, Indulge, and 30 oceanfront premium suites," said Steven E. Heydt, Elite Island Resorts' president.